The 14th Machine Translation Summit, organized by the International Association for Machine Translation and the European Association for Machine Translation, will be held at the ACROPOLIS conference centre, Nice, France, 2–6 September 2013. 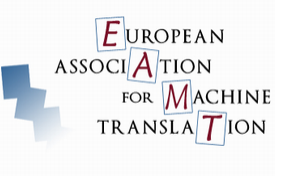 The conference programme for the MT Summit 2013 will include keynote speeches by renowned experts in Machine Translation, panel discussions and presentations of submitted and invited papers organized in two programme tracks - research and commercial/user. The present call concerns Research track papers only; separate calls will be made for the Commercial Track as well as for Workshop and Tutorial Proposals. The research Program Committee will be co-chaired by Khalil Sima'an (Universiteit van Amsterdam) and Mikel L. Forcada (Universitat d'Alacant). All submissions will be reviewed by at least three experts. MT and other technologies (e.g., speech translation, multilingual text categorization, multilingual retrieval, text summarization). (R) Regular papers: Submissions are invited for reports of significant research results in any aspect of machine translation and related areas. Such reports should include an empirical evaluation component. The Regular paper submissions will be presented either orally or as a poster. (P) System demonstrations: Submissions are invited for reports on the design, implementation, operation and evaluation of operational and prototype systems with an accompanying demonstration. Both types of papers should include a 100-150 word abstract, and up to 5 keywords. Further guidelines for authors will be available soon at the conference website. For formatting and submission of Papers please see below. The Commercial User track will focus on how MT can meet business needs and create viable consumer products and services. Examples of MT applied to business needs include such as just-in-time localization of critical information, delivery of multilingual technical support information, or creation of draft translations for post-editing. The MT Summit 2013 is sure to be of great interest for as well users and developers of Machine Translation. Developers of MT will benefit from updates on leading-edge R & D in MT and will offer them a unique opportunity to share their most recent developments with users and potential users of MT. Users of Machine Translation will meet other users and exchange valuable experiences on using Machine Translation. Ideal presentations will clearly identify a business need and describe how MT meets those needs, with a candid assessment of its strengths and limitations for that particular usage, supported as possible by data. Submissions should be 250-500 word summaries and may be sent directly in e-mail or as attachments in RTF format. Open-source and low-cost MT tools: are they realistic and is there a market for them?